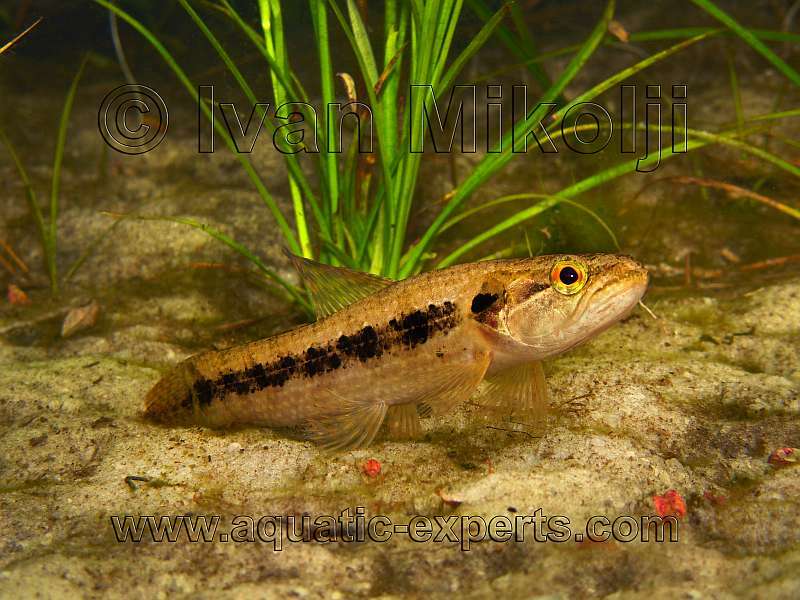 Hoplias malabaricus commonly called Wolf Fish in the aquarium hobby is an excellent predator in the wild. 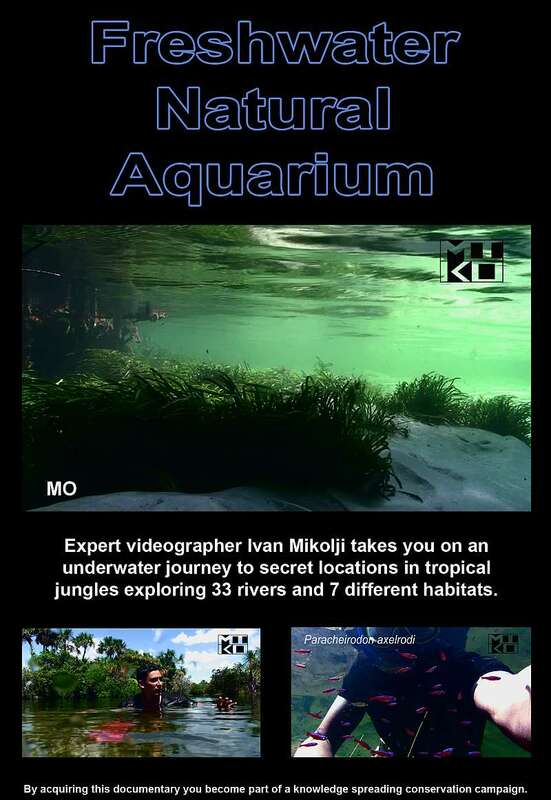 Such success has made it one of the most widespread freshwater tropical fish. 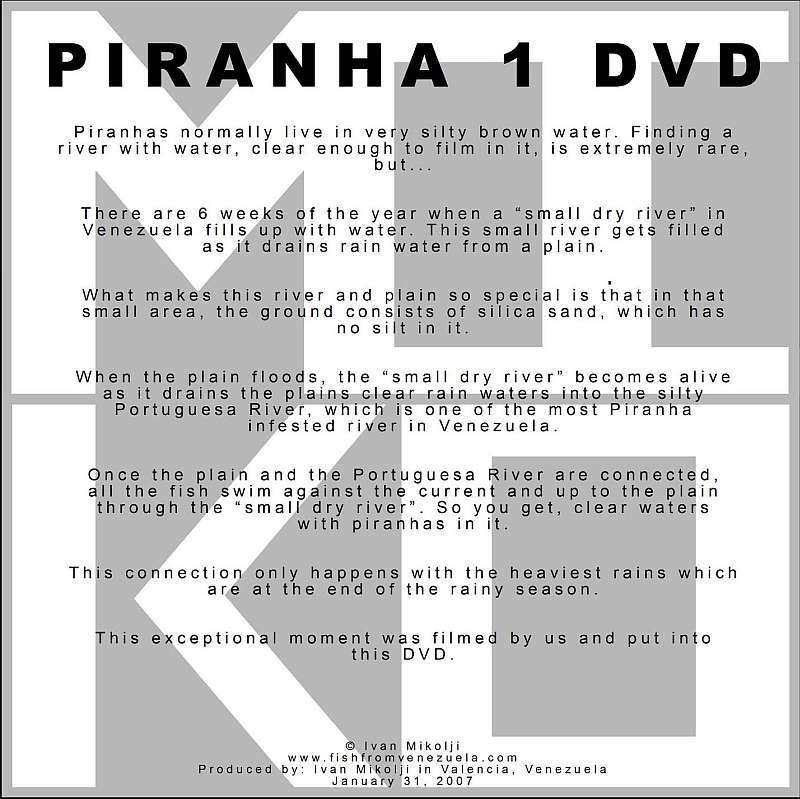 It is commonly seen or fished in most of the rivers of northern South America. 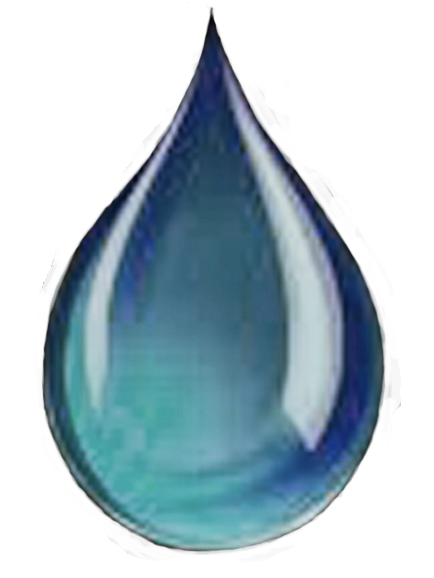 It feeds on practically any animal that is small enough for it to swallow. It grows past 3 feet in length and has many teeth which resemble “dog teeth” probably that’s where its common name came from. 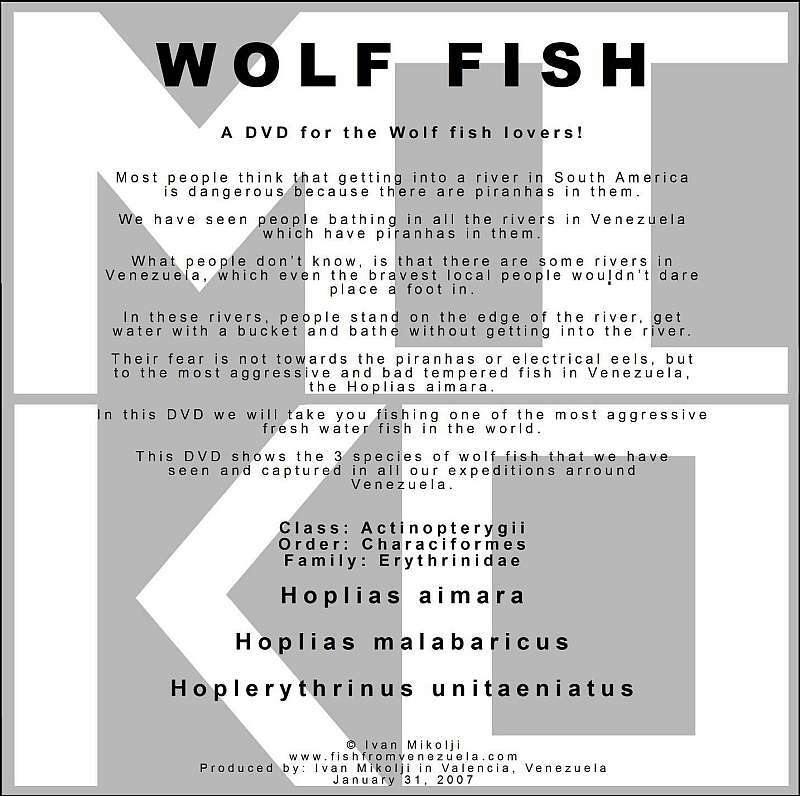 Hoplias malabaricus is featutred in the wild on our Wolf Fish DVD. 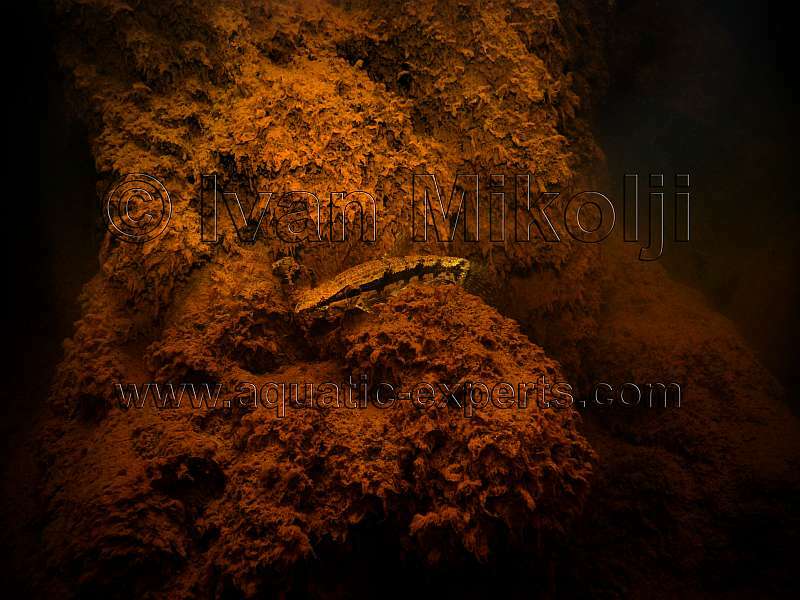 BELOW: Video of a juvenile Hoplias malabaricus in a aquarium. 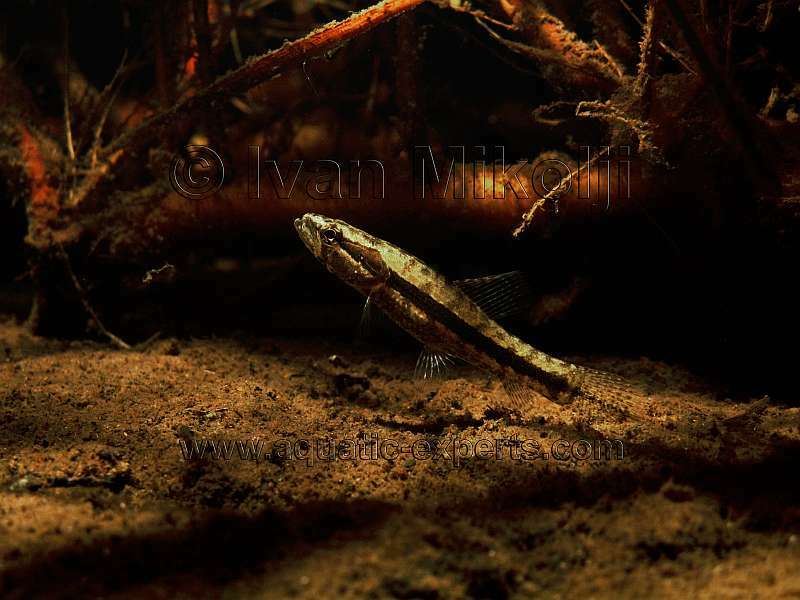 ABOVE: A Hoplias malabaricus in the wild sits still on an old submerged tree trunk waiting for its pray in its Mountain River natural habitat. The periphyton, which is a combination of silt, algae, and bacteria give the rotting tree trunk a phantasmagorical look. The wolf fish coloration and body patterns completely mimic its natural habitat. 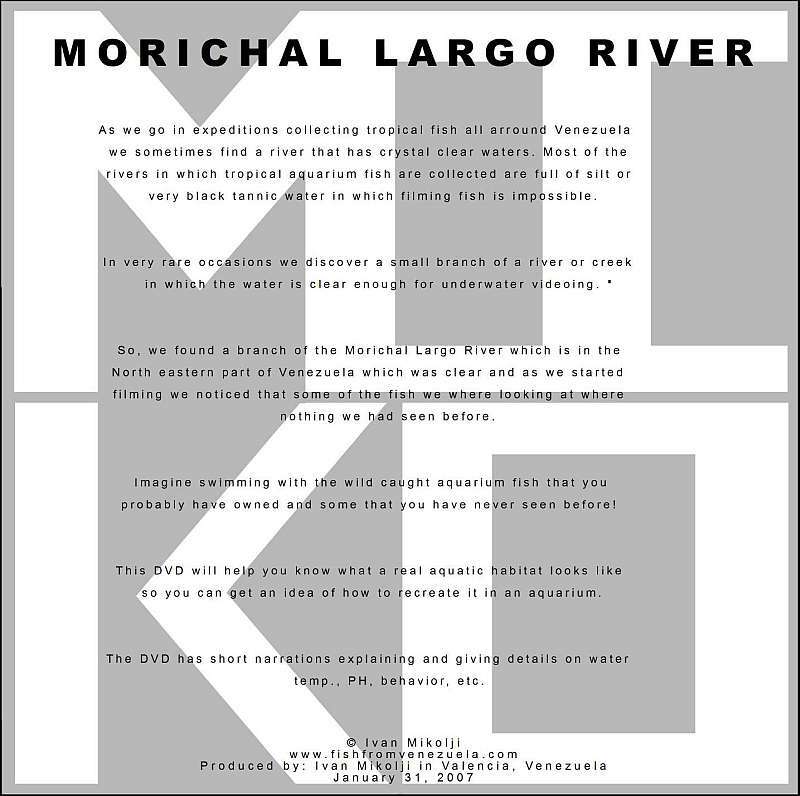 BELLOW: A Hoplias malabaricus in a Morichal habitat poses fearless to our presence on the river sand. 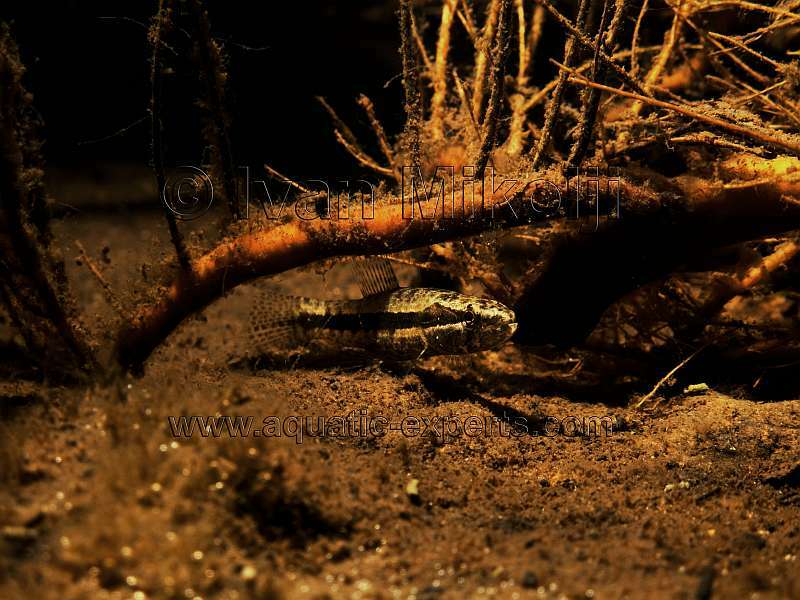 ABOVE and BELOW: A two inch Hoplias malabaricus awaits for its pray under a Moriche Palm root. These pictures were taken underwater in the wild in a Morichal Habitat.